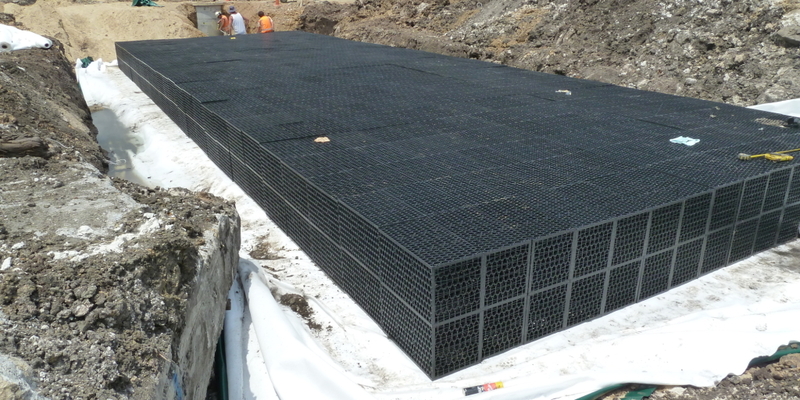 The RainSmart® modular system is suited for subsurface infiltration, retention and detention stormwater applications. The modules are manufactured using recycled materials and provide a lightweight, structural component to an engineered design. The system is ideally suited for the construction of underground infiltration, retention, detention tanks, grass swale, subsurface interception channels, septic leach drains and lightweight void fillers for roof garden and planter box applications. 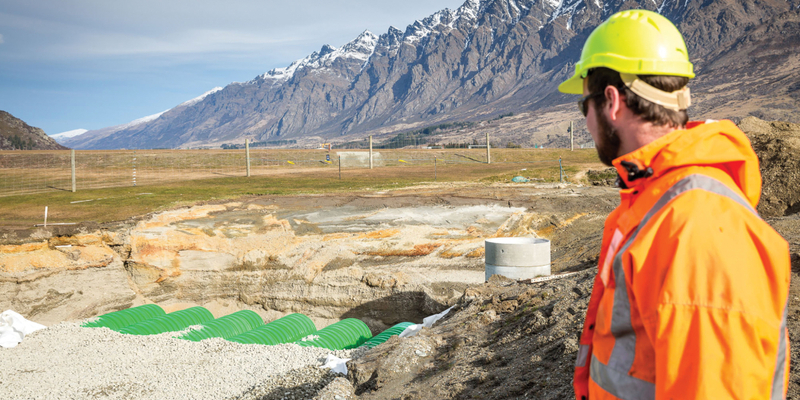 The RainSmart system supersedes traditional gravel and pipe-based systems. 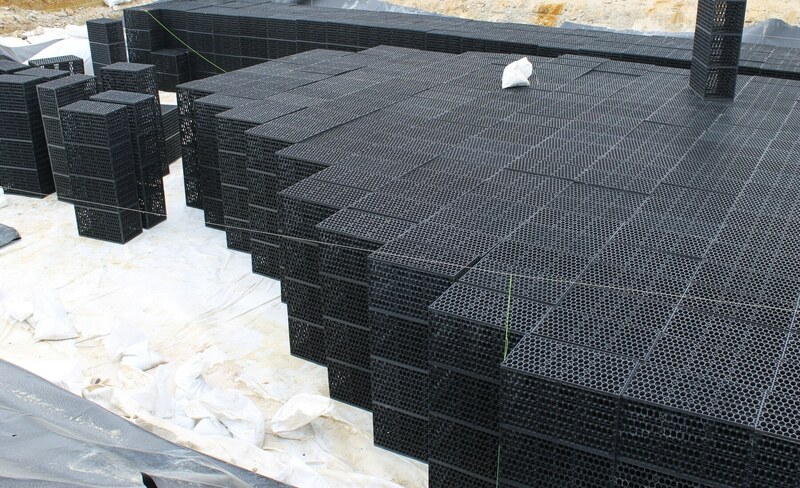 The system provides a void space ratio of over 95%, compared to 30 – 40% in typical gravel and pipe based systems. 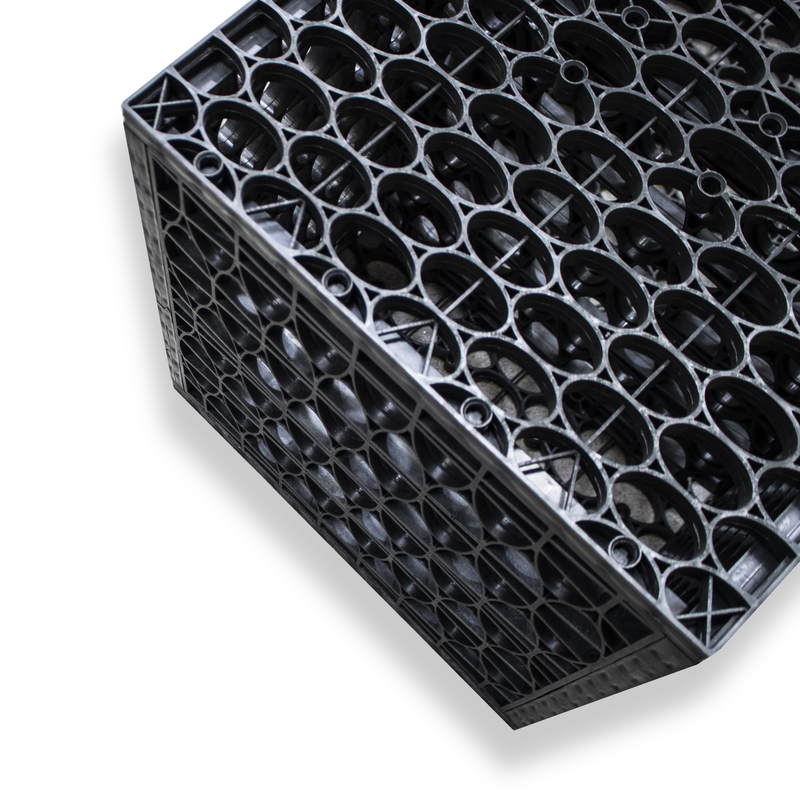 Consequently, the RainSmart system offers a smaller footprint for the same storage volume. 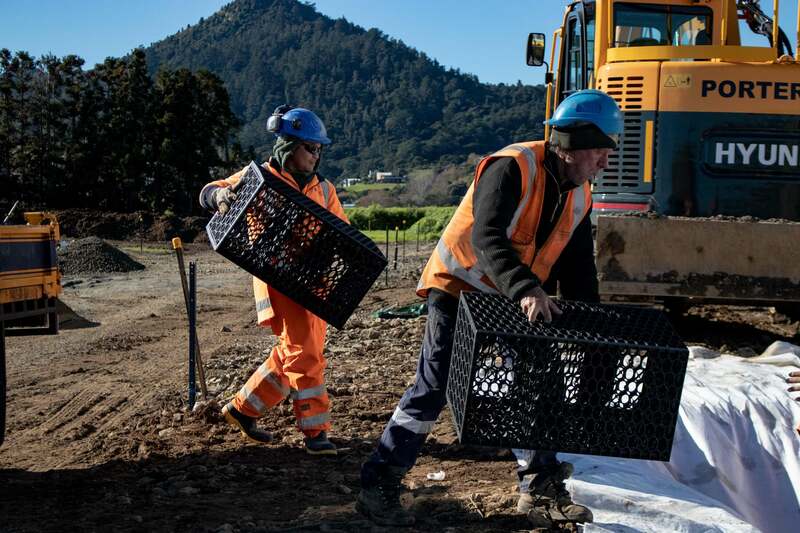 This provides a significant saving in the amount of excavation, soil transport, imported clean aggregate, thus reducing earthworks related installation costs and causes minimum site disruption. The modules are available in kit form, making transporting economical and easy to handle. The lightweight and stackable nature of the tank modules ensures installation is quick and easy, eliminating the use of heavy machinery. The modular design and structural capabilities distribute loads evenly and allow usage in both trafficable and landscaped areas offering a high safety factor. 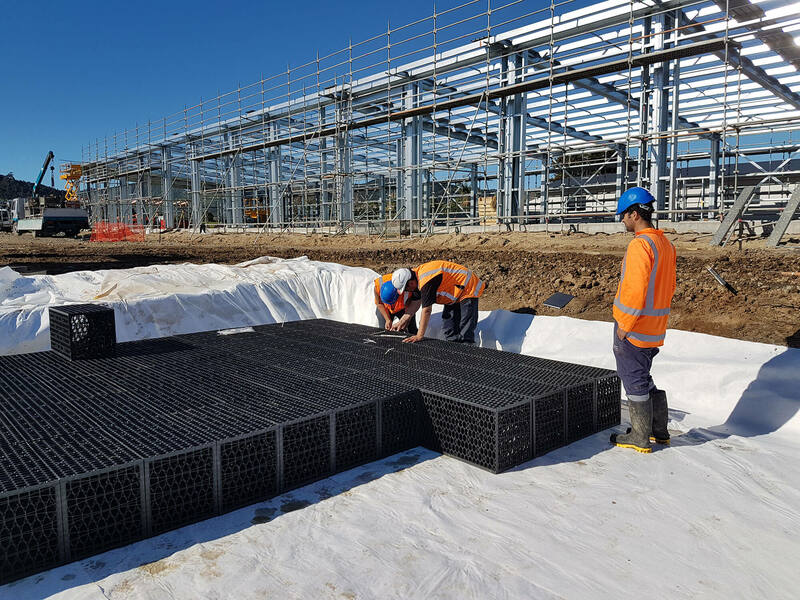 The design also enables the user to create any shape and size of the underground stormwater structure, without disturbing the surrounding site and maximising land use. RainSmart modules have a unique low flow design to provide total linear access, invaluable for inspection and maintenance purposes. This allows the designer to efficiently control the build up of sediments in the tank and for flushing the system if ever required. Try our interactive 4 plate single tank assembly demonstration. 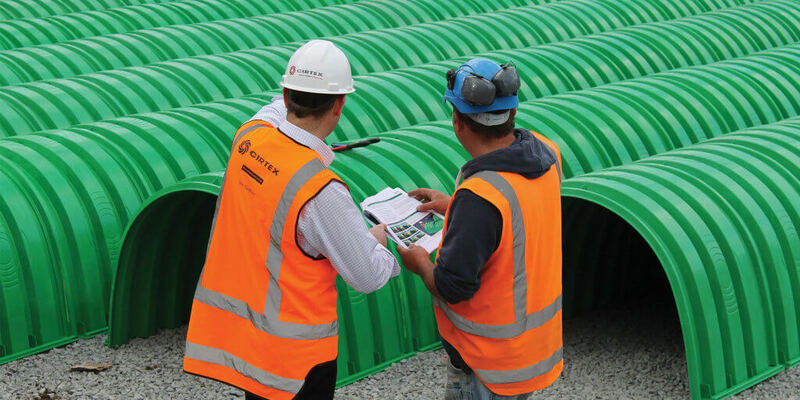 * Modules required per 1m3 of stormwater storage, considering a 95% void ratio. 4 and 7 plate options available. Please contact Cirtex® technical support team for assistance on selecting the correct configuration for your application. 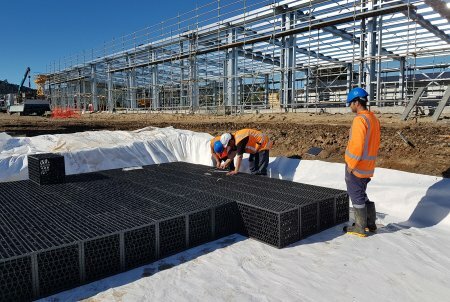 The RainSmart modules are placed underground to provide a tank system that is used to hold water (detention system), soak water away (infiltration system) or detain water and release at a controlled rate (attenuation system). The tanks are 715mm long x 400mm wide and are available in various heights – single units (0.44m), double (0.86m), triple (1.28m), quad (1.7m) or penta (2.12m). Penta (five tanks high) is the maximum height without getting site-specific engineering. 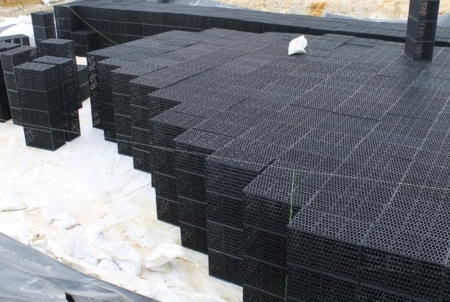 They are placed in an excavated hole and wrapped with DuraForce™ geotextile. 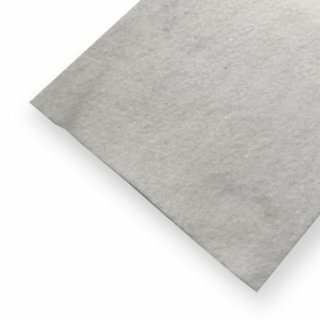 If they need to hold water, not soak away, they are also bound with an impermeable liner. 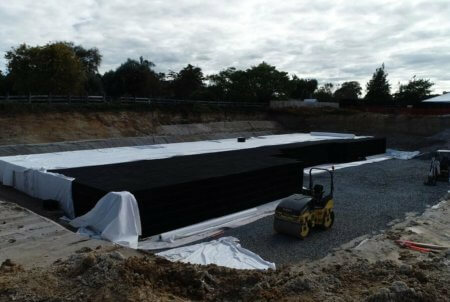 The tank system is then covered with suitable backfill. We have detailed plans and instructions for installation available, please contact us. 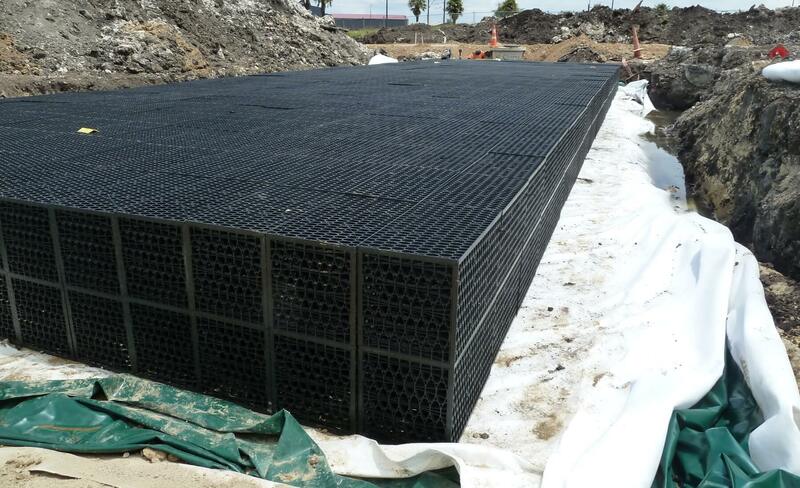 RainSmart tanks are suited to trafficable and non-trafficable applications and provide significant void space. Systems installed with linear access pipes are simple to maintain. 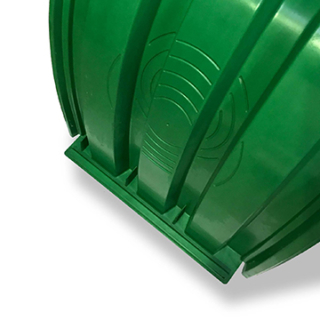 What depth of cover material is required above a RainSmart tank? 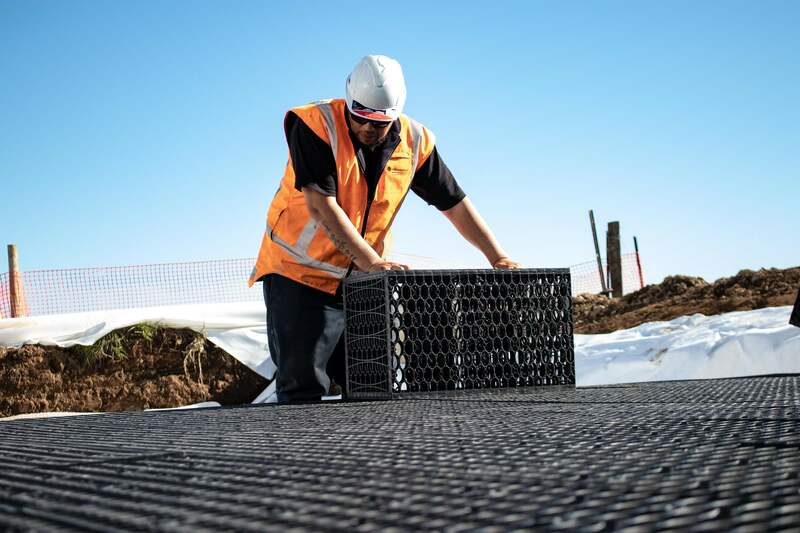 300mm of cover material is needed for non-trafficable applications. 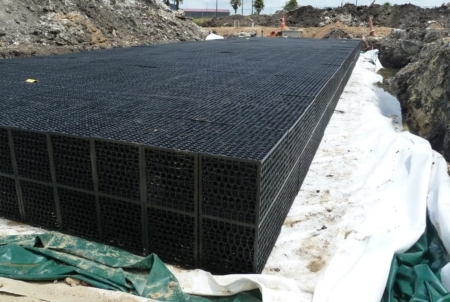 Trafficable areas require 600mm of cover with a DuraGrid/SecuGrid®* geogrid installed 300mm above the tanks and extended 1.5m horizontally beyond the edge of the tank system. 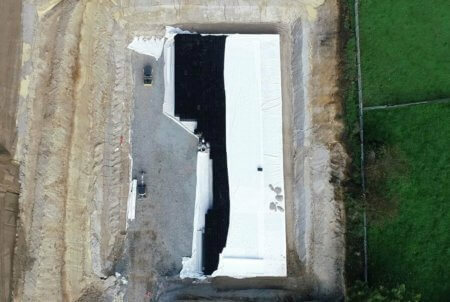 Please contact Cirtex if your site requires more than 1.5m of cover. *SecuGrid® is a registered trademark of Naue Gmbh & Co. Kg registered in Germany. 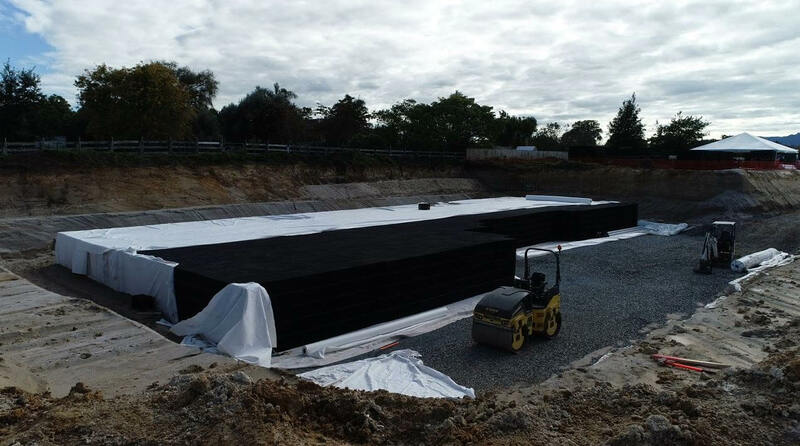 What grade of geotextile is needed for around tanks? 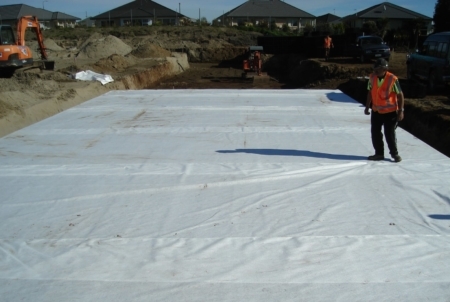 What type of impermeable liner should you use? 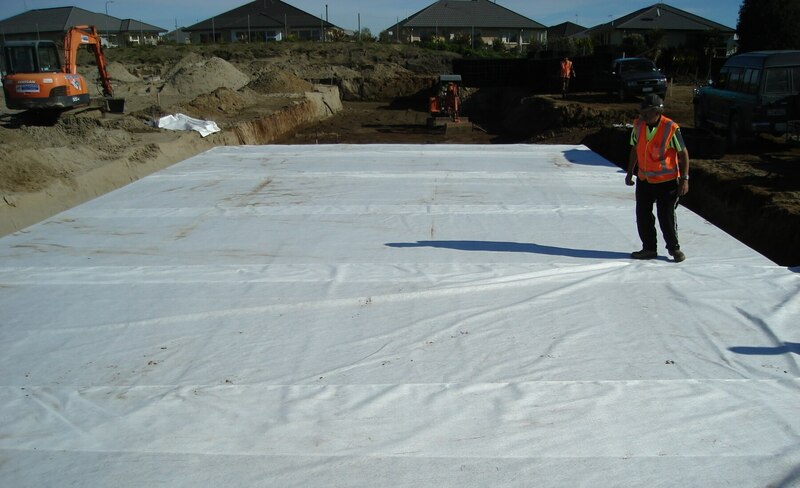 The impermeable liner used will depend on the application and size. 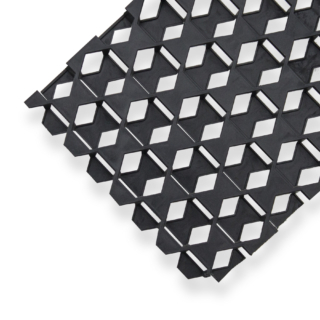 Typically, folded PVC liners are used for smaller residential applications and welded FPP or HDPE liners are required for more significant or critical applications. Please contact Cirtex for recommendations on the most suitable liner for your project. How much sand do you need around the outside of the system? Does Cirtex supply and install RainSmart systems? We are a supplier of RainSmart and related materials only. However, we do have a network of experienced contractors that we can recommend for RainSmart installations.